Today my dream Typography book came in the mail!! I’ve been trying for nearly 2 years to acquire this particular book and I’m so excited to finally have it in my hot little hands! 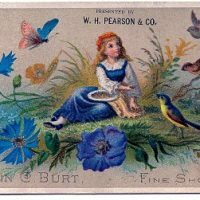 The book is quite rare, it’s from the 1880’s and filled with gorgeous images that the Printers would have used at that time, for Newspapers, Books and Magazines. These two Silhouettes are from that book. Shown here are a darling Boy and a sweet Girl with a long Braid in her hair. The original scan was actually quite tiny, about half an inch, but I scanned them at a very high resolution and then enlarged them using Illustrator, to make them more useable. I hope you like them! Thank you so much for all of the hard work you put into bringing us these amazing graphics! 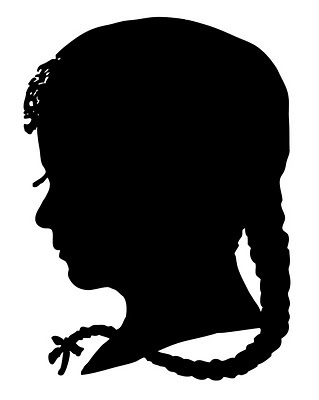 This is so neat/awesome…WONDERFUL because when I was a little girl there were 2 oval silhouettes in my bedroom. I think they were of a gentleman and lady. She had a ballgown on and he had a tail coat and they were under a dome of glass with a painted background but the figures were silhouettes. It always brings those fond memories back to me when I see silhouettes. I am going to get some oval frames and chose a nice background and frame them for my bedroom! I’m excited! Thank you for all you do for us. I really like all pictures and vintage post on your blog congratulations and thanks for posting … I collect them in a folder. Thank you so much – I love silhouettes and these are fabulous. Thank you for sharing with us all the beauty images. These are brilliant, thankyou for your time in doing these and everything else you bring for us. I lived with my grandparents in the 40’s and 50’s. In their house there were oval frames with silhouettes similar to these….the background was silver and looked like aluminum foil….I believe my grandmother made them. Thank you, Karen! I just posted 3 cards using your images. They wouldn’t have been possible with your amazing images, so thank you! Karen- I’m a first time visitor, and wanted to let you know how much I enjoyed all of your images and clip art. I loved the Valentine frames, and the silhouettes of the boy and girl… I will definitely bookmark your site. My Stars Karen How can we thank you enough for all you do every day. You have given us all so much. 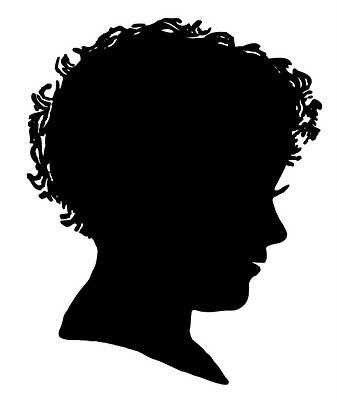 I am so thrilled with silhouettes, it is so great of you to share all of this with us. I remember silhouettes hanging in our house and my Mother’s family members. I found a couple oval ones with background in an antique shop outside Bowling Green, KY. I went crazy there, so many places to get incredible collectibles. You are so welcome Angela, have a great weekend!